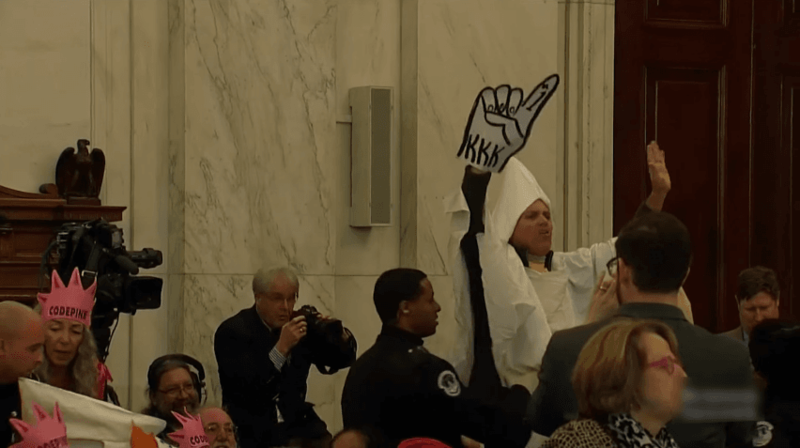 The confirmation hearings of Alabama Senator Jeff Sessions, President-elect Trump's nominee for Attorney General, provided plenty of drama that can help explain why racial tensions never seem to go away in America. Testifying in support were a former assistant U.S. attorney who worked with Sessions when he was U.S. attorney in Alabama, a former U.S. Marshall who worked with Sessions in the Attorney General's office of Alabama and the first black general counsel of the senate judiciary committee, on which Sessions serves. In contrast, the three Black Caucus members, Sen. Cory Booker, Rep. John Lewis and Rep. Cedric Richmond, went on about their opposition to Sessions because of his alleged weakness on civil rights — a polite way of suggesting he is a racist — while bringing virtually no evidence to support their allegations. Unfortunately, politics has come to be conflated with racism. That is, those on the black left who have dominated black politics for so many years now brand anyone who does not share their political views as racist. According to the black left, a black who believes that abortion should not be legal, who believes that black parents should have the right to decide where to send their children to school and who believes that marriage is the sacred bond between a man and woman is not part of the "civil rights community." Similarly, based on these beliefs, because he is a conservative, Senator Sessions must be racist. The three black men who testified to support Senator Sessions' nomination are evidence of the diversity of black opinion nationwide. The problem the Black Caucus has with Senator Sessions is not that he is a racist but that he is a conservative, and that is not good for their racket.